Nissan looks at autonomous cars as a part of the road in the very future and being used in public transport like school vans and might recommend restaurants to various tourists coming from different places in different languages. From the next month, Nissan will start to test its vehicles on roads which they call “a robo-vehicle mobility service.” The service is called Easy Ride. It uses cell phone app to book a semi-autonomous driven cad just like it is done in Ola, Uber etc. The service was demonstrated on Friday. It is developed in collaboration with a Japanese mobile game provider DeNA Co., started in 2017, which has been working on driverless bus and delivery services since long and assume it to be done by 2020s. But the major details including are still not decided. As per the automaker, 300 people have already decided to drive the semi-autonomous car starting from March. But for now, the span for the Easy Ride would be limited to just 4.5Km starting from the Nissan headquarters to the shopping mall nearby. Just like various other autonomous cars, Easy Ride is also packed with cameras, sensors, and radars to recognize pedestrians, intersections, traffic lights and other vehicles and move safely in the environment. The app is only in Japan right now but is likely to expand to various other countries in various languages. 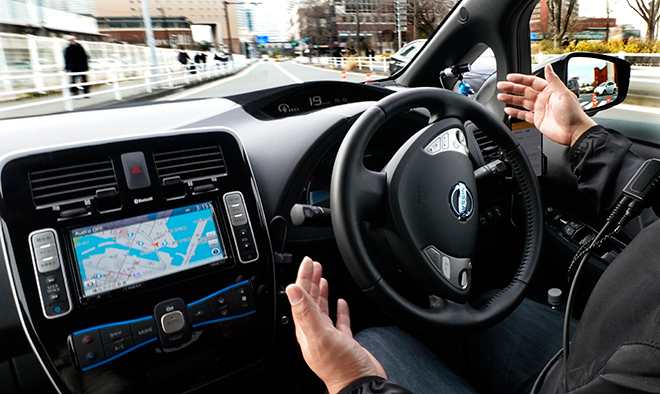 Japan doesn’t allow fully self-driven cars on the road, so a driver site behind the steering wheel and as Nissan says that some human intervention is required to avoid crash since the system isn’t flawless. It is just another type of technology which is introduced on the roads just like Google’s Waymo and Tesla’s Autopilot. Various other big brand names like Mercedes and Toyota have been working on this, Nissan is the most aggressive. The potential for autonomous vehicles is quite large and this industry is going to grow and the majority of consumers are in the favor of this technology but it takes just a few accidents to turn the consumers against the car manufacturers. Driverless technology could also make up for the growing shortage of labor, reduce traffic and parking problems. Although the technology is new and interesting and might be helpful later still there are some glitches remain which the automaker needs to work upon. Next articleTackling Security in Autonomous Cars.